Service Networks – TransChill Inc.
With the manufacturing of specialized transport chillers and bulk liquid ISO tanks, our clients have a diverse range of service networks available to them. 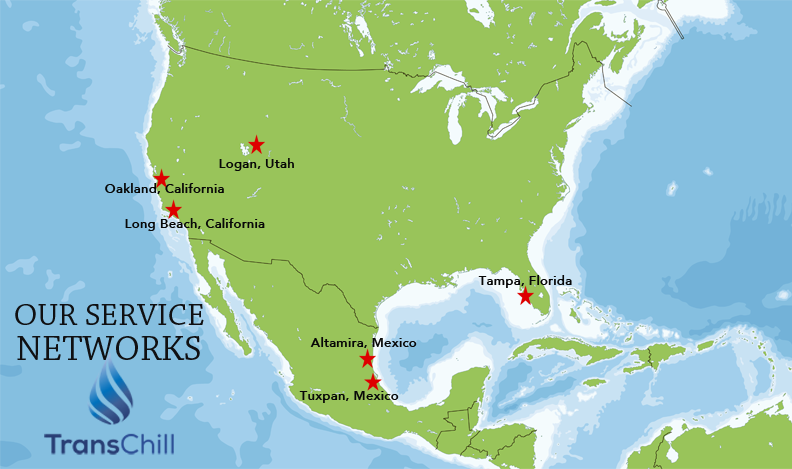 With six service networks in North America, including the United States and Mexico, clients are provided with the comfort of knowing the services we provide in diverse locations. With over a decade of field experience, TransChill provides expertise on bulk liquids, temperature-sensitive perishables, chemicals, and valuable products and beverages.